Parents are always conscious about their child health. For that purpose, they keep their first aid box maintained. In any case, an infant or child if suffer from any disease, the regular medications and tools must be available. Off these, a thermometer is an essential tool that every first aid box must have. Whenever an infant gets any problem, the first thing is usually a monitoring of fever. All the types described above are good for monitoring of fever but doctors do not recommend all because of certain errors. Before selecting it is good to take a suggestion from the doctor as he can guide you about the more accurate, safe and convenient type of the thermometer. Parents can select the fever monitors according to the age of the child. For example, for new born and infants rectal thermometers are an excellent source to check the temperature. Although it may be inconvenient for a baby but it provides an accurate reading. In a similar manner under the arm or temporal artery thermometers are a good source for the babies above age 4 months. They give an appropriate reading. Pacifier thermometers are also new and easy to use. Parents can use for the babies and get reading easily by placing in the mouth just like regular pacifiers. When a baby or child is suffering from any disease, he may be irritated. Sometimes it becomes difficult to check fever because of the squirmy behavior of the child. In that case, choose the thermometer through which parent can check without any inconvenience. For example, rectal or behind the ear thermometer may not be suitable if the child is afraid of such situations. Try to use oral, armpit or forehead types so that it becomes easy for parents to monitor the temperature. Never compromise on the quality of thermometer. Spend little more to get accuracy. Different companies are manufacturing these devices, some are costly some provide in mid cost range. 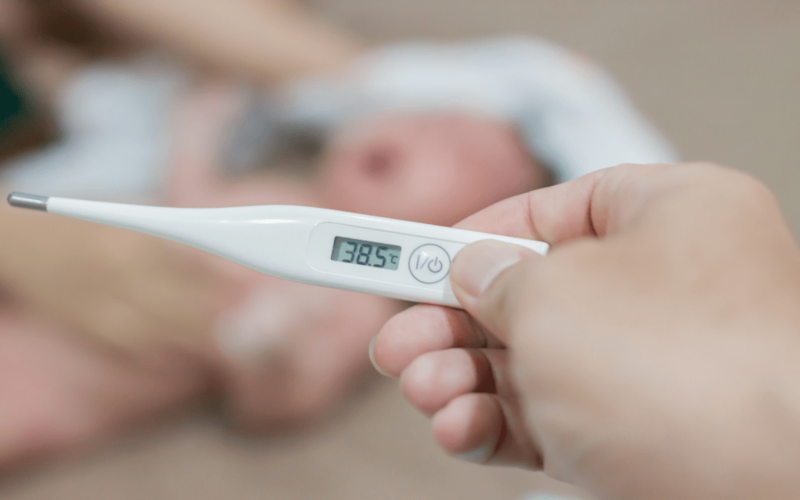 Try to find the best baby thermometer that provides accuracy. This is because it is the matter of child health. Wrong reading may create serious issues. Try to get the best one after reading the reviews and checking method that works best for the child. Before monitoring, check the thermometer, do not use old mercury temperature monitor device. Read safety notes before using and keep thermometer according to guidelines to get the best results. Take care of the thermometer as they are sensitive and may lose the accuracy in case if there is no care. For example, multi-use thermometer needs less insertion so take care to maintain its accuracy.